Figuring Korean Futures is the story of the emergence and development of writing for children in modern Korea. Starting in the 1920s, a narrator-adult voice began to speak directly to a child-reader. This child audience was perceived as unique because of a new concept: the child-heart, the perception that the child's body and mind were transparent and knowable, and that they rested on the threshold of culture. This privileged location enabled writers and illustrators, educators and psychologists, intellectual elite and laypersons to envision the child as a powerful antidote to the present and as an uplifting metaphor of colonial Korea's future. Dafna Zur is Assistant Professor of East Asian Languages and Cultures at Stanford University. She teaches courses on Korean literature, popular culture, cinema, and popular culture. 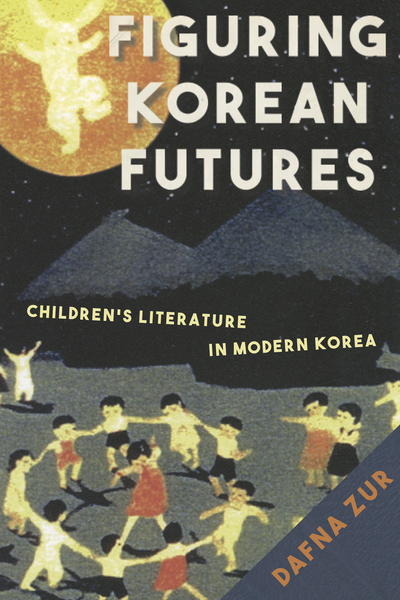 Her book, Figuring Korean Futures: Childrens Literature in Modern Korea (Stanford University Press, 2017), traces the affective investments and coded aspirations made possible by childrens literature in colonial and postcolonial Korea. She has published articles on North Korean science fiction, the Korean War in North and South Korean childrens literature, childhood in cinema, and Korean popular culture. Her translations have been published in wordwithoutborders.org, The Columbia Anthology of Modern Korean Short Stories, and the Asia Literary Review. Dafna Zur received her PhD and MA in Asian Studies from the University of British Columbia, and a BA from Hebrew University of Jerusalem.